Half a year ago I convinced my husband to take a trip to London, United Kingdom. It took many years of begging until I could step foot in a fairytale kind of city. The accent, the architect, the history, the culture has always been inspiring to me. Many stories have been written about the streets of London, like Mary Poppins, Sherlock Holmes and Charles Dickens. There is no doubt that London is my favorite city, and may keep it that way as I continue to discover more places around the world. 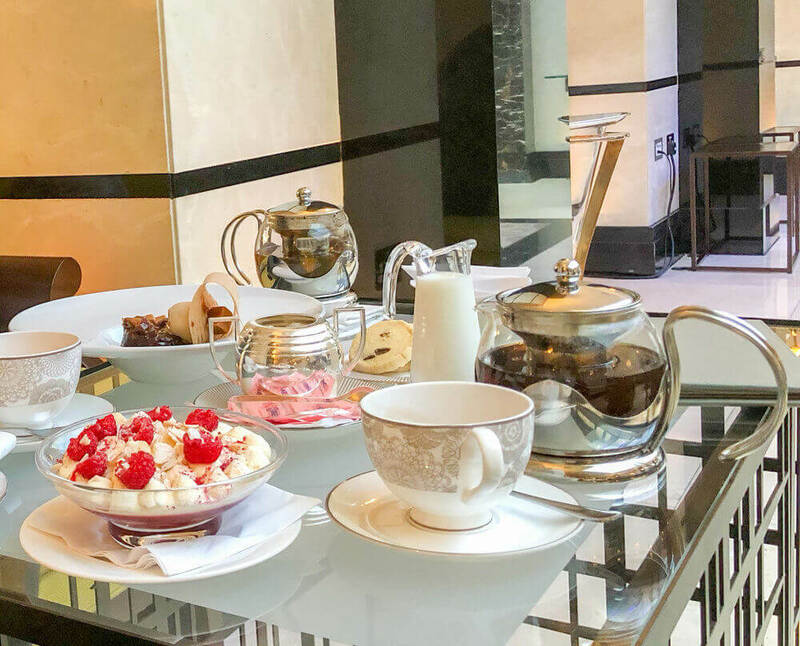 London has a great variety of cafes, restaurants, street food (chips and fish), including British celebrity chef Gordon Ramsay’s fancy restaurant. I think it is a one time experience, but the experience was worth it. You may have heard of the British Royal Family- they are a big deal over there, especially in London where royal sightings are near. We didn’t see any of them personally, but we took a walk along the famed tree-lined road leading to Buckingham Palace and watched the changing of the guards there. Also, we visited Kensington Palace, where we could walk through Princess Diana’s fashion story. Living in London is expensive. Although there are plenty of places one could visit for free or on a budget, the fact that Londoners typically rent out homes per week, rather than per month, that tells you everything you need to know. I cannot wait for the next time my travels take me back to London. How about you, what is your favorite city in the whole world? 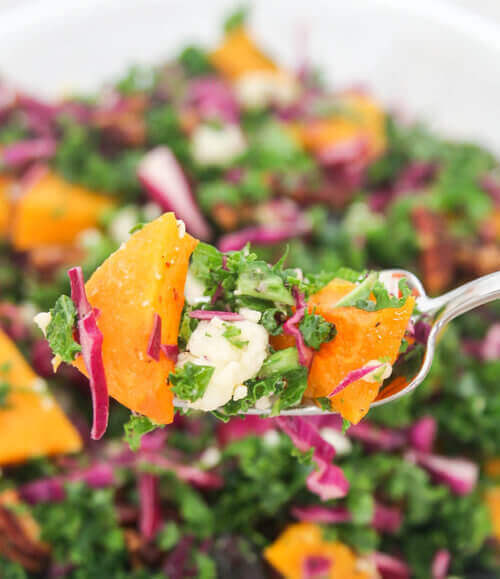 Lets talk about this kale salad already! 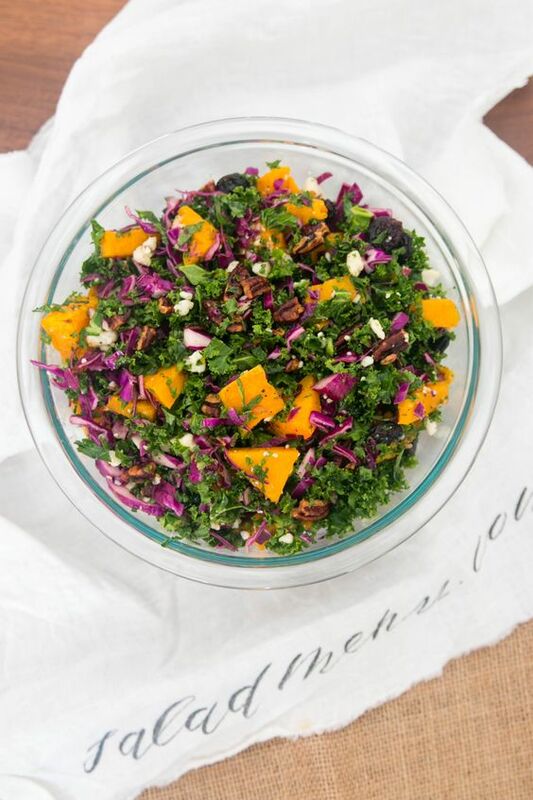 This time of year is the perfect time to make this kale butternut squash salad. Here in the northwest autumn is in full swing. Fresh air, leaves changing colors and my boots are out of my shoe closet. What I like about this salad is how all the flavors come together with the tangy lemon vinaigrette. The crunchiness of toasted pecans, the sweetness of butternut squash and cranberries, it’s like autumn in a bowl. I hope you enjoy it as much as I do. Toast pecans at 400F for 5 minutes. Add lemon dijon vinaigrette 10 minutes before serving.